The word partner in police work has a special meaning. To police officers working the street, it’s a relationship that only law enforcement officers can truly understand. Your partner has your back… at that most critical time, when things can go from ordinary to surreal in milliseconds. You work together, know each other’s moves, and how each will react without having to think about it. Good communication is critical to a successful outcome. Paramount to officer safety and effective police work are the wireless partners. Those unsung heroes working behind the scenes in the communications center. There are also animal partners… canine and equine which also provide essential police services. All of these partnerships further good police work, safety, and service to the community. Effective communication and teamwork are critically intertwined throughout. Another critical partnership is police officers working in collaboration with citizens, businesses and organizations, as everyone wants a safer city. 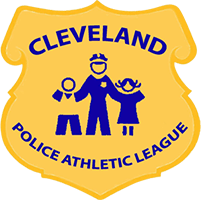 The Partner serves as one of the tools that the Cleveland Police Foundation uses to foster positive relationships, team building with the Cleveland Division of Police, the community and police charities…. all joining together for a safer community. Get your tickets now for Tribute to the Blue (March 7)… Thank you to Police Officers of the Month for January 2019: First District Community Engagement Officers Lyniece Turner, Juan DeJesus and Kerry Novak-Adams… Thank you to January 2019 Community Partner of the Month, Target at Steelyard Commons… Upcoming events and more! CPF Police Officer of the Month, December 2018: Patrol Officer Samantha Haggerty… Second District Community Relations Award… December 2018 Community Partner of the Month: Carol Black… Holiday Spirit… Cookin’ with Cops recap… Much, much more! CPF Police Officer of the Month, November 2018: Detective Chris Gibbons… November 2018 Community Partner of the Month: Linda Lewis… Gun Buyback Recap… Cookin’ with Cops Nov. 6… Much, much more! CPF Police Officers of the Month Patrol Officer Louis Kitko, Community Partner of the Month Frankie Galizio… Third and Fourth District Community Relations Committee Awards… Much, much more! CPF Police Officers of the Month, September 2018: Sergeant Jose Torres and Patrol Officers Rick Varnell, Albert Buccini, and Scott Floyd… September 2018 Community Partner of the Month: Skylight Financial Group… August 2018 Community Partner of the Month: Bridget Pauly… TRIBUTE TO THE BLUE CELEBRATION ON TRACK FOR BIGGEST BENEFIT EVER IN MARCH 2019… Thank you to Tito’s and Pete Miragliotta… Much, much more! Thank you to CPF Police Officers of the Month for August and the Community Partner of the Month or July… Tribute to the Blue… Public Safety Pipeline Program Graduates… Thanks to Skylight Financial… Much, much more! Remembering Officer Vu Nguyen… Thank you to CPF Police Officers of the Month for July 2018, Sergeant Steve Beckner and Patrol Officer Chris Lane, and the Community Partner of the Month, Saint Ignatius High School… Pre-order your 2019 “Dog and Pony Show” calendar Pre-order your 2019 “Dog and Pony Show” calendar… Much, much more! Thank you to CPF Police Officer of the Month for June 2018, the N.I.C.E. Unit and April’s Community Partner Honoree Jennifer Wypasek… Become a Friend of the Cleveland Police Foundation… Pre-order your 2019 “Dog and Pony Show” calendar… Much, much more! 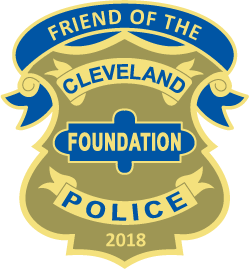 Thank you to CPF Police Officer of the Month for May 2018, Patrol Officer Sharon Davis and March’s Community Partner Honoree Lisa Fox… Coming right up: May 17-20 33rd Annual Greater Cleveland Police Memorial Commemoration; International Tattoo May 19… Become a Friend of the Cleveland Police Foundation… The new “Kickin’ It With Cops” program… Each Paver Remembers… Much, much more! 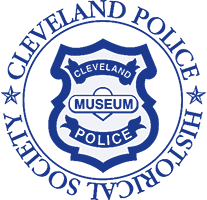 Thank you to CPF Police Officer of the Month for April 2018, Officer Hubert Kidd and February’s Community Partner Honorees Alice Wegrocki and Rose Roy… Coming right up: May 17-20 33rd Annual Greater Cleveland Police Memorial Commemoration; International Tattoo May 19… Become a Friend of the Cleveland Police Foundation… April 21 – The 2018 Great Cleveland Clean-Up and “Cleanin’ With Cops”… Each Paver Remembers… Much, much more! 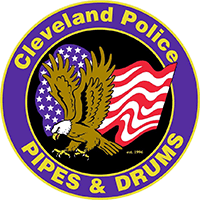 Congrats to CPF Police Officer of the Month for March 2018, Detective Lisette Gonzalez… New: Community Partner Awards… Congrats to CPF Comunity Partner of the Month for January 2018, Mike Duda of Sports Focus Sporting Goods… Become a Friend of the Cleveland Police Foundation… February Recaps… Upcoming events and more! Executive Director Charles W. Lane, Jr., Retiring… Police Officer of the Month Joseph Haggerty… Puerto Rico… Upcoming Events… Recaps and more! 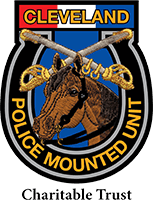 CPF Police Officer of the Month Sergeant Thomas Ross… Become our Friend… upcoming events and more! CPF Police Officer of the Month P.O. Doug Nichols… First and Second District awards… upcoming events and more! 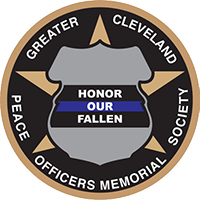 Honoring Fallen Officer PO Justin Leo, Girard PD… Become a Friend of the CPF… Cleveland Police Are Hiring… Faith-Based Emergency Planning… CPF Officer of the Month Vickie Przybylski… Upcoming events and more! October 15 Ride-2-Achieve Citywide Bike Tour * 11th Annual Handgun Buyback October 21 * October 28 Health & Justice Fair * Congrats to October 2017 Police Officer of the Month Antonio Andino * Much, much more! Tribute to the Blue September 28 * TTTB Honorees * September 2017 POM Second District Baby Shower * 4th District Community Service Awards * Much, much more! Tribute to the Blue September 28 * ESPN CLEVELAND & TONY RIZZO Annual Golf Outing Benefiting The Cleveland Police Foundation * August 2017 POM Patrol Officer Paul Fronckowiak * Much, much more! 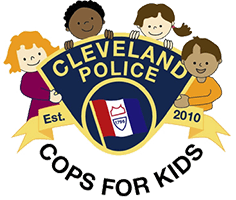 Become a Friend of the Cleveland Police Foundation and Support Our Mission * Slamtana Charity Bowling July 20 * July 2017 POM Lieutenant Edward Lentz * Much, much more! Memorial Commemoration May 13-21… Trooper Kenneth Velez and Patrol Officer David J. Fahey Jr. to be Commemorated… Cle. Int’l. Tattoo May 20… May 2017 Police Officer of the Month – Detective John Graves… this and much more! 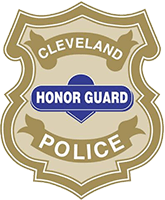 32nd Annual Memorial Commemoration May 14-21… Police Officers of the Month Christopher Eaton and Michael Ryan… Cleveland International Tattoo Tickets and much more! Season of Giving Video… Secret Santa… Canine Ballistic Vests Donation… New President Grant Dinner and more! Blue at the Zoo November 4… “Black and Blue Side by Side”… physical fitness/sport equipment donations for children and more! Blue at the Zoo Nov. 4, Cops for Kids activities, RNC merch and more! Community Partnership for Individuals, random acts of kindness, Cops for Kids and more! Giving back to the community… boxing ring for PAL Youth Program… officer fatalities report… Progressive employees and CPF partner for Cops for Kids program… this and more! Part of our mission of partnering with the community is to communicate well. We now offer both a subscription to our website articles (biweekly), safety tips and the monthly Partner Newsletter. To receive articles in your inbox, subscribe to our newsfeed here.